THE TESTIMONY of Black men and women was pivotal in the trial of Leo M. Frank for the murder of Mary Phagan, and was so regarded by both the prosecution and defense. But little-heralded then, or now, is the horribly bad treatment these Black witnesses repeatedly received. The prosecution often “sweated” or gave Black witnesses “the Third Degree” — which meant physically or verbally threatening or abusing them, with the idea being that only under such severe fear would Black people tell the truth. Even the man on trial, the man the prosecution said was guilty of murder, Leo M. Frank, never received treatment even remotely like this from the police, the detectives, or the prosecutor’s office. 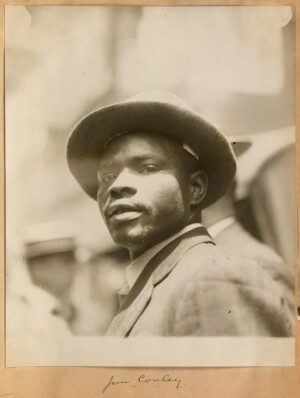 Leo Frank partisans, for their part, strove mightily to frame two Black men, Newt Lee and Jim Conley, with planted “evidence” and hired perjury, and at one point even solicited the murder of James Conley, the Black man whose testimony against Frank was among the most important in the case. In this, the nineteenth audio segment of this ground-breaking work originally published by the Nation of Islam, part of their series called The Secret Relationship Between Blacks and Jews, we also learn of the highly improbable claims of the Frank defense, including Leo Frank’s bizarre claim on the stand that he had “unconsciously” used the toilet at the very location and time at which Mary Phagan was being strangled to death — incidentally leaving his valuable papers and payroll unguarded in an unlocked, open office in an unlocked building. We at The American Mercury are now proud to present part 19 of our audio version of this very important book, read by Vanessa Neubauer. Simply press “play” on the player embedded above — or at the end of this article — to hear part 19 of the book.